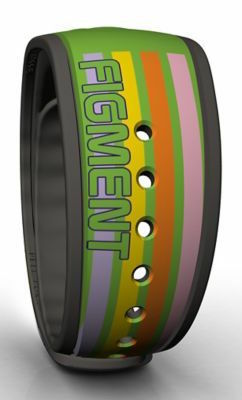 A new Open Edition Figment MagicBand on a base green color was released today on the Shop Disney Parks mobile app (and most likely very soon in the theme parks). 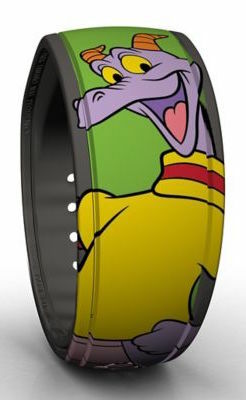 This is a basic Figment MagicBand, unlike previous bands which featured him at Epcot and at the 2016 Flower & Garden Festival. This is the third band released featuring the character. It retails for $22.95, and because it’s Open Edition it won’t make any special lights/sounds at touch points. 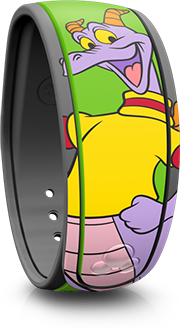 Disney’s merchandise SKU barcode for this MagicBand is 400000051222.